And so it begins. The first of many shows from perhaps one of Roger’s most anticipated tours since leaving Pink Floyd nearly 30 years ago. 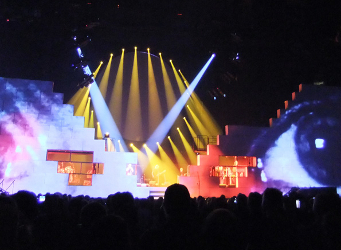 The Wall 2010! If you rather not spoil it for yourself, then don’t listen but resistance is futile. The recording is decent but it badly needed some tweaking. It was far too bassy, so I fixed that up and doctored it for supersound. Enjoy! Air Canada Centre Toronto, Ontario, Canada, 15. September 2010. I removed the set list but it should come as no surprise.